The Bien Vivre Hotels are the hotels in Trentino that made of well-being and healthy-life their cultural approach in welcoming their guests. 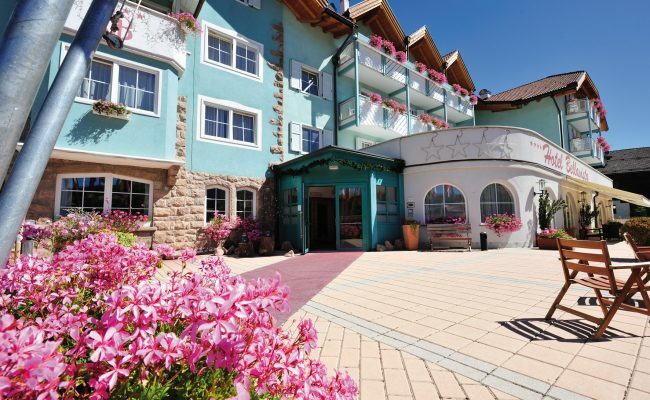 “Well-being” for us means welcoming our guests focusing on their needs; guarantee holidays in contact with nature within the beautiful landscape of the Dolomites; offer genuine and accurate dishes highlighting local traditions; invite our guests to spend relaxing time in our wellness centers. Families with children are more than welcomed in our hotels, where they can find everything they may need for a peaceful holiday. Dedication, passion and commitment are the 3 key-elements to achieve our mission: our guest’s satisfaction! This is the slogan our 40 workers follow every day! Our philosophy embraces an open and innovative way of thinking, with particular attention to what the market demands, creating a dynamic and managerial approach to hospitality, where the focus is on the single person. Therefore we work together as a team always giving our best with a friendly smile on to let our guests feel at home!